Seventy-year-old Director Michael Haneke has entered the limelight this year with the Best Picture and Directing nominations for his latest film, Amour. He's known as an art-house filmmaker who challenges viewers by subverting their expectations. This isn't the type of guy who usually wins Oscars. He's made the statement that "A feature film is twenty-four lies per second" and frequently puts that theory into practice. His 2005 film Caché takes the premise of a classic thriller yet never delivers on those expectations. Instead, he hides secrets just outside the frame and makes audiences work to uncover the mystery. It's a definite example of how Haneke works within the formula yet refuses to succumb to it. Haneke is the right guy to begin my 2013 Blind Spots Series of cult films. This month, I'm taking my first look at his 2000 film Code Unknown. Its longer title includes "Incomplete Tales of Several Journeys", and that label perfectly summarizes Haneke's approach for this story. It's rare to see a movie and have no idea how to describe it. Simple terms like "good" or "bad" do little justice to what Haneke achieves with Code Unknown. 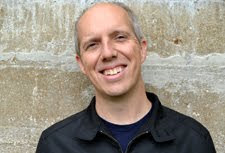 He weaves divergent plots together without making it feel like we're being manipulated to convey "important" ideas. While living in the same world, this picture functions on an entirely different level from limited films like Babel or Crash. They're striving to blow your mind but tend to leave a hollow aftertaste. Haneke shows us the daily lives of people with little in common who happen to meet on the streets of Paris. Each has the potential to take the lead, but we only learn fragments about their experiences. That could be frustrating in lesser hands but never feels designed to build confusion. Instead, they flow together in a seamless collage of scenes that show more while holding back the obvious moments. Juliette Binoche stars as Anne Laurent, an actress in a relationship with war photographer Georges (Thierry Neuvic). He feels completely out of place in the civilized world, and she throws herself into emotionally draining roles. In the opening scene, she runs into his younger brother Jean (Alexandre Hamidi). After they part ways, he throws a piece of trash at Maria (Luminita Gheorghiu), a homeless Romanian who gets deported after the ensuing chaos. 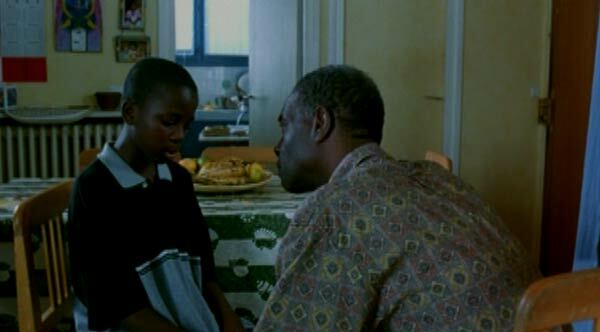 The mess begins when Amadou (Ona Lu Yenke) steps in to defend her honor, but the police are suspicious because of his Malian descent. This description implies that this is a heavily plotted movie, but that's far from the case. While this moment plays a role in changing several lives, Haneke shows how each person is living in a pattern of similar events. Jean is a frustrated kid who hates living with his father (Josef Bierbichler) on the farm. After this incident blows over, he's still looking to escape his current predicament. The previous description implies that Haneke has intricately plotted the connections between the characters. That's hardly the case and does little justice to the way he underplays obvious emotional moments. A big example comes with a conversations between a father and son about the boy's rough treatment at school. A few scenes later, we're observing that bully's funeral with little explanation. It's implied that the angry dad may have killed him, though we can't be sure. Haneke separates the often-unrelated sequences with a black screen, and he never cuts within the scenes. This leads to extended takes with the camera moving long distances and between multiple stories. At a restaurant, he begins with Anne and Georges eating with friends and then shifts to Amadou out on a date. The transitions are seamless and don't feel pretentious. It makes the camera a passive observer that isn't constructing the story for the audience. His only tool is the abrupt end to each segment that leaves information missing and makes us fill in the gaps. Several intriguing scenes have Anne speaking directly to the camera while auditioning. They aren't shot like typical movie moments where the fakery is obvious. Instead, Haneke keeps the lens focused directly on Binoche as she conveys devastating emotions. There's an uncomfortable claustrophobia to these shots, particularly one extreme close-up. Binoche is the perfect choice for this role because she sells the intensity and makes us forget her character is acting. 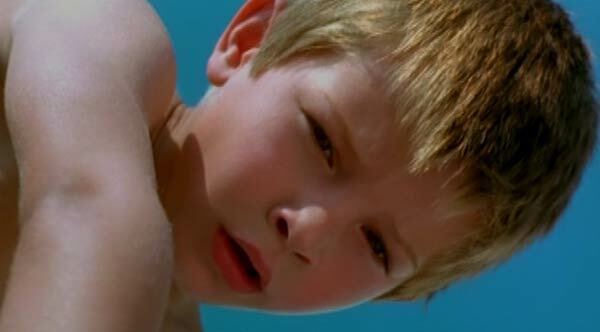 Near the end, there's a harrowing moment with a boy nearly leaping to his death from a high-rise building. When Haneke pulls back the curtain and reveals the truth, it's obvious we've been manipulated yet remains fascinating. He's questioning how we watch movies and never lets the audience settle into a mindless haze. It's a dangerous style that will lose some viewers, but Haneke's working on a different playing field. Another pivotal component is the exploration of race, which hangs over many scenes. Anne takes a harrowing train ride where two Arab guys pester her throughout the trip. She sits stone-faced and tries to ignore them, but it's clear she's barely holding it together. On the other hand, Amadou gets rough treatment from the police in the opening sequence and doesn't get a chance to explain himself. We also spend a lot of time with Maria after she's deported. It's surprising that she actually wants to return to Paris given her poor experiences there. So many characters in Code Unknown are locked in this type of repetitive cycle with little escape on the horizon. The remarkable montage with Georges' photos of the silent commuters perfectly expresses this theme. Even when they try to adapt to their new situation, their efforts seem futile and just send them heading towards quiet despair. I've never seen any of Haneke's work, but the way you describe it here sounds spot on: "They're striving to blow your mind but tend to leave a hollow aftertaste." I don't know if that appeals to me right away, seems like an acquired taste to me, but I'm willing to give Amour and this one a shot. Binoche is lovely and utterly talented. Ruth, I haven't seen Amour but would definitely recommend Code Unknown. It could be frustrating but had a lot of rewards for me. Binoche is great as always, and the long takes and episodic structure really worked for me. Great review here. I really enjoy this film, and everything that it's saying. Really liked your comments about how race is handled in the movie. It's never overtly obvious, but always there. Definitely one of my favorite Haneke films. Thanks Alex! I still need to check out a lot of Haneke's movies, particularly Funny Games, The White Ribbon, and Amour. I liked this even more than Cache and love the subtle approach to the entire story. I'm glad that I was able to check it out. Such a good film and a great write up. 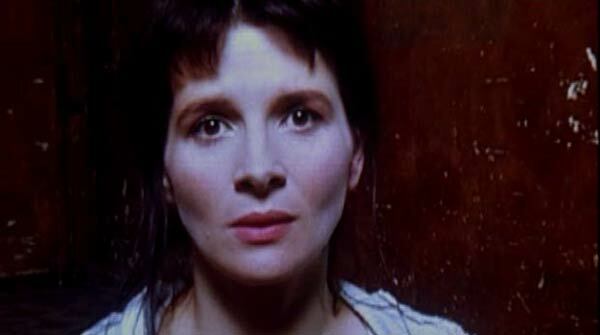 I love the scene where Binoche is trapped inside the room acting (or is she?) for the camera. Harrowing. I hadn't seen a single Haneke film until last year. I watched them all in about a month. Gripping and gruelling at the same time. Wow, that's quite a feat to go through all of Haneke's work since few are easy viewings. I agree about the Binoche scene, which is so claustrophobic even though we realize she's probably acting. There's another moment with her on stage that's equally unsettling. Thanks!